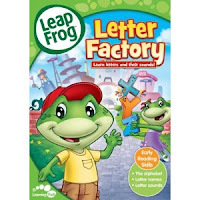 I purchased the Leapfrog Letter Factory DVD for the Lil Divas last year. I was looking for a fun way to reinforce letters and letter sounds with them. There are tons of movies out there on this exact subject but what drew me to Leapfrog beyond the others was the fact that quite a few of the teachers I know use it in the classroom! I was able to view the DVD firsthand in a Kindergarten classroom. The kids really enjoyed it and it was not the first time they had watched it. I liked the catchy way it gave examples of each letter and its sound. I was sold & knew I had to buy it for the lil divas. Once I received my copy (ordered from Amazon at a great deal) I couldn't wait for them to watch it! They instantly took to it - it's just like watching a cartoon, except they are actually learning something very useful! The DVD combines a visual of the letter while doing something memorable that relates to it's sound (for example p is popping like popcorn, k is practicing karate kicks) all while they sing a song for the sound each letter makes. The girls would sing these little songs whenever they saw letters and I found myself singing along one too many times as well! Overall, this DVD is a great learning tool and a wonderful way to reinforce the letters and their sounds with little ones. 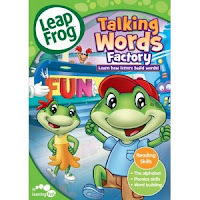 We recently started watching Talking Words Factory and I can really see progress in sounding out letters together. 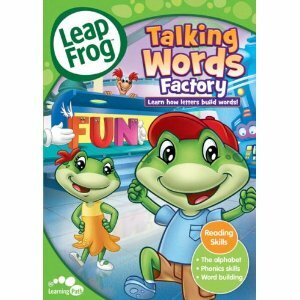 This has been a great Pre-Reading tool for my oldest who is excited about learning to read. When I come across something that is this exceptional I have to share, especially since there are so many products out there. These DVD's are engaging for kids and they work! A winning combination in my eyes.